Juventus have provided the latest update on the injury suffered by forward, Cristiano Ronaldo, ahead of their UEFA Champions League quarter-final first-leg tie with Ajax on April 10. Ronaldo sustained an injury during Portugal’s 1-1 draw with Serbia in the Euro 2020 qualifying match on Monday night. The 34-year-old pulled up clutching his thigh in the 30th minute, with his side trailing behind to Dusan Tadic penalty and, after receiving treatment, he eventually hobbled down the tunnel and was replaced by Pizzi. 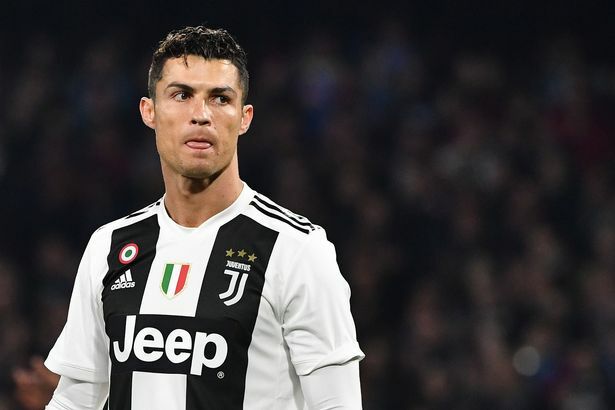 However, Juventus released a statement on Tuesday through their official website to confirm that Ronaldo underwent tests and it revealed that the former Real Madrid star has a minor injury on his right thigh flexors. “After being forced off in the 30th minute of the first half of the match between Portugal and Serbia, during qualifying for the Euro 2020, Cristiano Ronaldo underwent tests in Portugal that revealed a minor injury to his right thigh flexors,” the statement read. Ronaldo has no fears that he will miss Juventus’ Champions League clash against Ajax. Ronaldo had said on Monday after the match: “My injury? I’m not worried,” Metro UK quoted him as saying after the match.